A celebration of seven exciting American artists at a vibrant, landmark venue – gallery@oxo – on the cultural banks of the River Thames. Sophisticated art lovers and those just looking for something a little different can feel the joy of life itself, as absorbing colour and charisma invigorate the air of gallery@oxo on the Southbank open from 19th-23rd July. The seven artists – Andres Bardales, Carol Carpenter, David Harry, John Nieman, Kay Griffith, Veronica Stewart and William Braemer – are represented both by Art Fusion Galleries in Miami, USA and Abba Gallery in Europe. 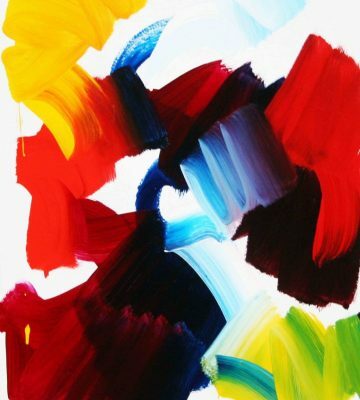 David Harry’s paintings, full of colour with a nod to the style of Sam Francis, are called by David himself ‘anti-action’ paintings, with large precise brushstrokes that infuse movement and depth into the large-scale canvases. Another returning artist to the show, William Braemer, also offer paintings with accentuated valiant colours, warmed by the Miami sun and references his own Cuban-Caribbean roots and background, while also looking to his American abstract expressionist predecessors. 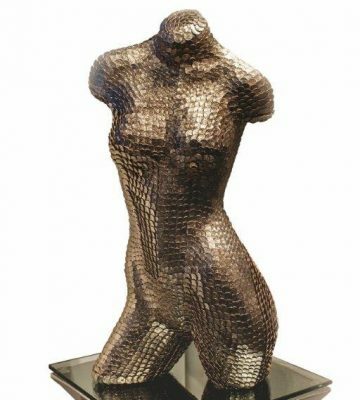 His sculptures, have a particular style that incorporates both Dadaism and Nouveau Realisme mixed with forms that have an air of ancient Athenian sculptures from the 4th C BC. 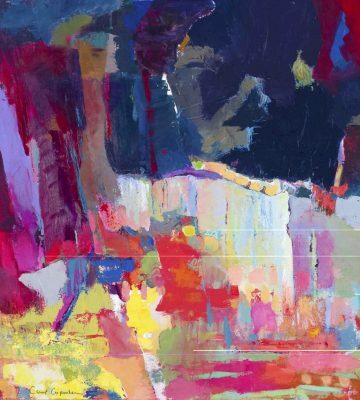 Kay Griffith’s oil paintings uses the ‘wet-into-wet’ technique with a palette knife, creating canvases with elegant colours, which are prime examples of abstraction. 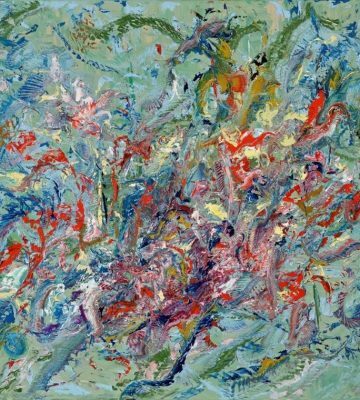 As Griffith notes “they evoke different emotions in different viewers and interpretations are always illusive.” Carol Carpenter is another painter, specialising in abstract expressionism. She uses oil, acrylic, watercolour and ink to create vivid works, many of which are inspired by landscapes and botanical themes and are “inspired by the ever-changing elements and beauty in nature.” Another artist, Veronica Stewart is also inspired by nature and the equine figure, elaborated by vibrant colours and rounded shapes. 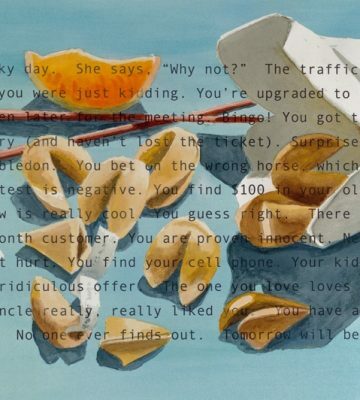 Moving away from the abstract styles, John Nieman is decidedly influenced by pop art and conceptual art. He uses high contrast mediums, such as pastels, and enjoys creating a visual story for his viewers. Nieman explores the divide between the difference of a statement made in words and one made with images. He seeks to provoke his viewers, presenting a visual riddle, while employing realism in his works. 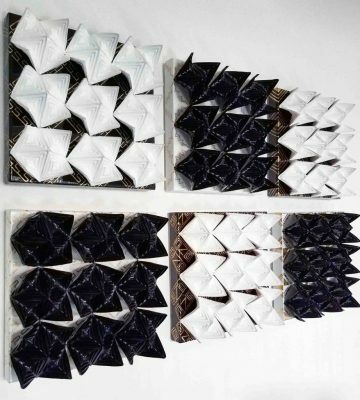 The fifth artist, Andres Bardales, creates complex sculptures and installations using origami techniques. His work is based on repetition and geometric shapes and he seeks to the study the relationship between structure, space and the viewer. His works are complex and visually exciting. This show presents many different styles and mediums and appeals to all tastes. All seven artists will be in London for the opening reception, so please contact Vito Abba at Abba Gallery for any press inquiries or to arrange an appointment with the artists or curator. For many years, the team at Abba Gallery, based in Florence Italy and headed by owner Vito Abba, has organised and curated successful collective and solo shows of contemporary artists of international fame in many cities worldwide, including Paris, London, Madrid, Tokyo, Venice, Monte-Carlo. Since 2014, Abba Gallery has a permanent exhibition space within the Art Fusion Galleries in Miami.